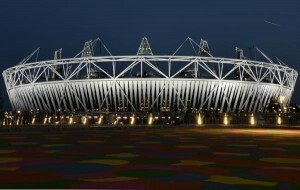 The #London2012 Olympic stadium, via @VisitBritain on Twitter. 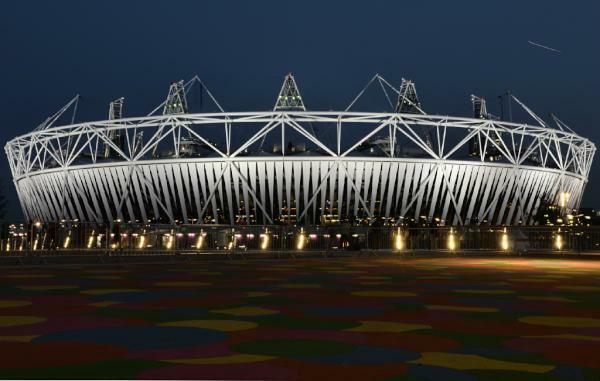 As the final touches are made to the Olympic venues in and around London, letÃ¢â‚¬â„¢s take a tour of the insurance stories ahead of FridayÃ¢â‚¬â„¢s opening ceremonies. It should come as no surprise that insurers and reinsurers play an important role in providing billions of dollars in risk coverage for this sporting display that brings together more than 10,000 athletes from some 200 different nations. Munich Re is shouldering a significant share of the risk in the event of the abandonment, interruption, delay or relocation of the 2012 Games. Over at Insurance Journal, an article by Lee Tookey, head of Aviation Reinsurance, Space and Specialty Lines, for Aspen Re speaks to the challenges insurers face in the transmission of the Games to the world. New technology will allow the live broadcast of sporting events via mobile devices to viewers around the world. There are concerns about whether or not satellites and cellular networks will be able to meet the expected demand. And finally, an article from Business Insurance reminds us of the importance of detailed risk management when hosting a sporting event on this scale. LondonÃ¢â‚¬â„¢s heightened exposure to terrorist threats during the Games is one of the main areas of concern. Ã‚ The British government has called in extra troops, police officers and civilian security workers to help keep the Games safe for athletes and spectators.